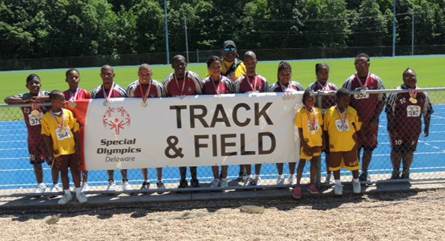 A team from Bermuda recently competed at the Delaware Regional Special Olympics, capturing an impressive 44 medals, including 27 gold. 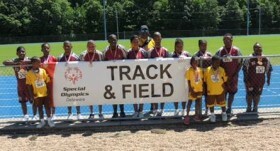 Bermuda’s team took home a total of 44 medals, including 27 gold medals, 11 silver medals, and six bronze medals. The Special Olympics Team will return to Bermuda this Saturday, and Mrs. Suzanne Roberts Holshouser, representing the Minister of Youth and Sports, will be on hand to meet the students at the airport. Minister Scott has also extended an invitation for the students from the team to come and attend some of the BNAA competition at the National Sports Centre. Absolutely AWESOME! Congratulations to the entire team!! Go bermuda and go team zori. Well done! Way to go Uriah -team Williams putting Bermuda on the map.